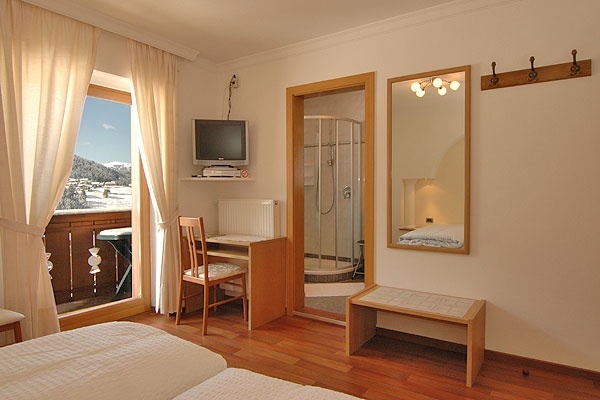 We offer beautiful and comfortable double and triple rooms with shower/WC, balcony, SAT-TV and safe. 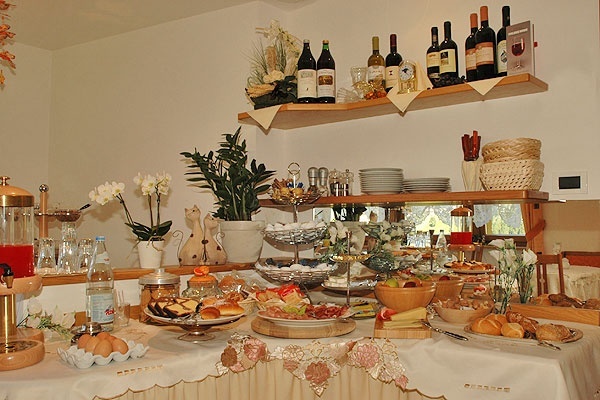 A rich breakfast buffet is waiting for you in the morning. 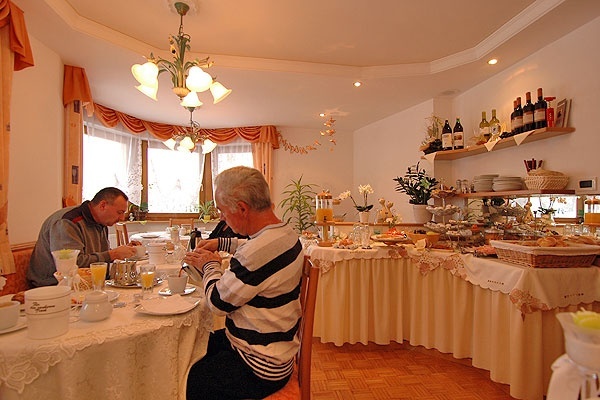 For your other small or big meals, our guest kitchen is every time at your disposal. 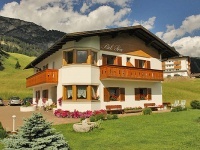 Our house is situated on a quiet and sunny location, on the foot of the unique Stevia, a very jewel among the Dolomites. 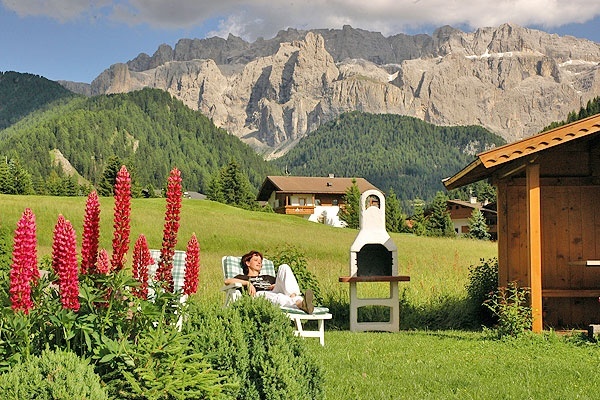 Relaxing on our garden or balcony you will have the Sella Group and the Sassolungo in front of your eyes. 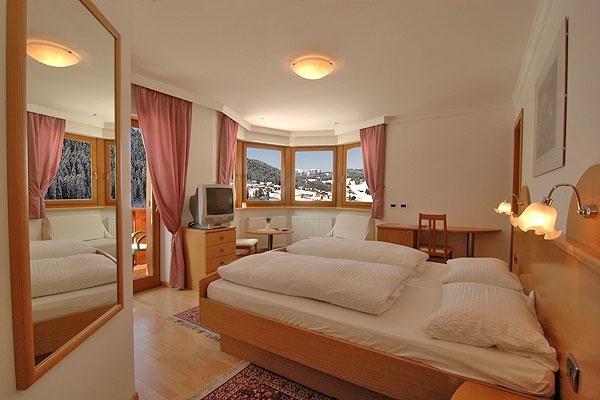 If you are planing an active or a relaxing holiday � here you will have the choice! 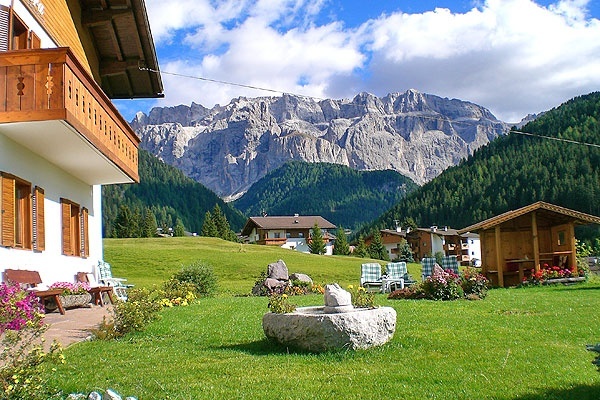 Bel Pra can be used as the starting point for long walks, many excursions or climbing trips. 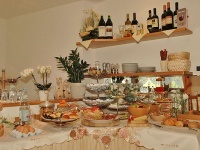 Here there are also many possibilities for the friends of the ski sport. In the immediate nearness there is the incomparable ski area of the Dolomiti Superski. 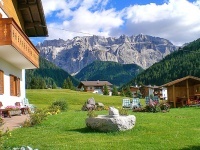 Come and enjoy the unforgettable Sellaronda. 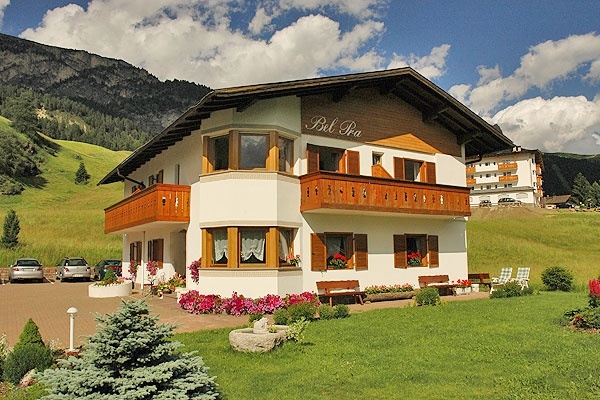 Bel Pra means in the Ladin language beautiful meadow and this is really the place where our breakfast pension with a kindful atmosphere is situated. We are easy reachable by car and in front of the house there is a private parking ground too.